Progress Energy paused its operations after the earthquake. VANCOUVER — A natural gas operation that halted work after a 4.6-magnitude earthquake in northeastern B.C. last week has been linked to the largest earthquake in the province that's been attributed to fracking. Progress Energy, which is owned by Malaysia's Petronas, paused its operations after the quake on Aug. 17 that occurred 114 kilometres from Fort St. John. The B.C. Oil and Gas Commission says hydraulic fracturing — or fracking — by the same company triggered a 4.4-magnitude earthquake that was felt in Fort St. John and Fort Nelson in August 2014. 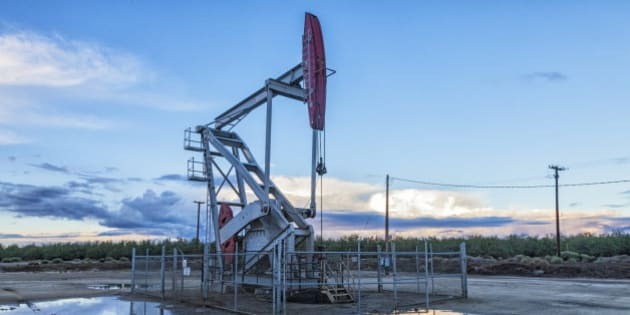 A report by the commission says fracking has caused nearly 200 seismic events in the Montney Trend, which stretches from the B.C.-Alberta boundary near Dawson Creek to the B.C. Rocky Mountain foothills. The report that investigated the process of fluid injection to extract natural gas looked into quakes recorded between August 2013 and October 2014. A statement from B.C. 's minister for natural gas development, Rich Coleman, says drilling must stop immediately if seismic activity reaches 4.0 or higher and the commission must be notified.